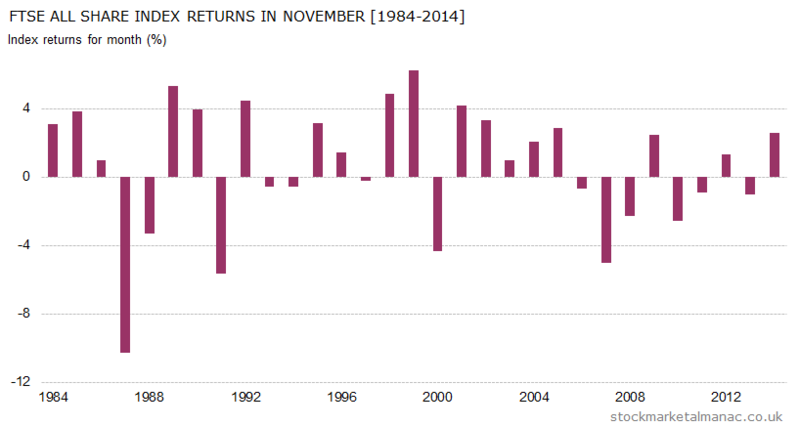 Of the 12 months of the years, market performance in November is only middling. Since 1970 the FTSE All Share Index has risen in 60% of years in November, with an average return over the period of 0.3%. This gives it a rank of 6th place for monthly performance. From 1980 its relative performance had been steadily increasing, but that trend reversed in 2006 – as can be seen in the accompanying chart, the market has risen only three times in November in the last nine years. The significant feature of November is that it marks the start of the strong six-month period of the year (November to April). In other words, having reduced exposure to equities in May (”Sell in May and go away…”) investors should now be increasing exposure to the market this month (if they haven’t already done so in October). On average the market tends to rise the first four days of the month, then to give up those gains over the following few days, rise again, fall back, until finally increasing quite strongly over the final seven trading days of the month. In the last twenty years the sectors that have been strong in November have been: Beverages, Fixed Line Telecommunications, Food Producers, Life Insurance, Media, Mining, Technology Hardware & Equipment and Travel & Leisure. While the weak sectors have been: Aerospace & Defense, Banks, General Industrials, and Oil & Gas Producers. At the company level, the following FTSE 350 shares have performed best in November over the last ten years: Babcock International, Compass Group, Greene King, and Shire; the shares of these companies have all risen in November for nine of the past ten years. The shares that don’t seem to like November are: Tullett Prebon, Lloyds Banking, and CSR. And this is a busy month for interim results: 62 companies from the FTSE 350 make their announcements this month. This is a busy month for interim results: 63 companies from the FTSE 350 make their announcements this month. 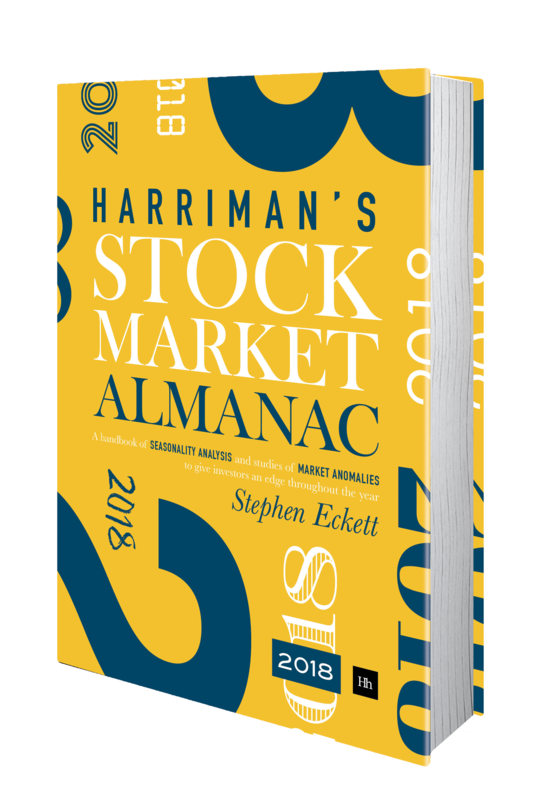 Dates to watch for this month are: 5 Nov – MPC interest rate announcement, 6 Nov – US Nonfarm payroll report, and 26 Nov – Thanksgiving Day (US), NYSE closed.